Credits: Piotr, or Peter – vocals guitar. Doc – drums. Shambo – bass. Mauser – guitar. I love Vader. There’s no way I can write a totally objective review of a Vader album; I am just predisposed to liking it. Black to the Blind is no exception. 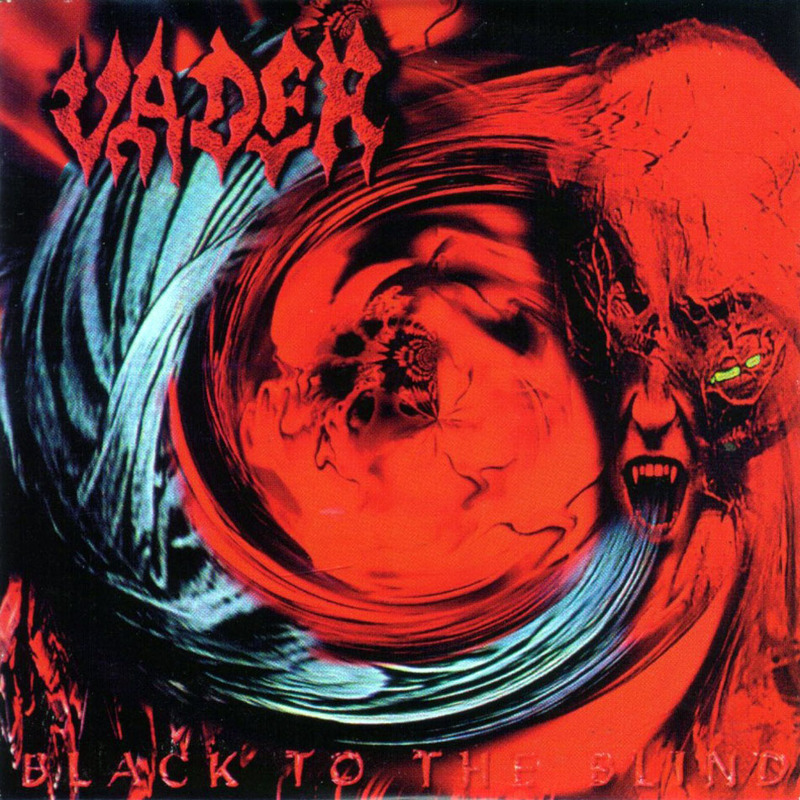 This is their third major full-length, and the album where Vader really started coming into the style that was fully explored with the succeeding album, Litany from 2000. So why do I have so much respect for Vader? These Polish musicians don’t just have the musical skill that death metal demands, they go in deep with their lyrical content as well. No shallow “I love Satan! Kill God!” hollering here: Peter uses his strong tenor voice to educate and inform the listener about Vader’s favorite occult and magic figures from the past and present. Names, dates, and quotes are given to clarify the details of each song, along with the printed lyrics. These guys actually make you interested in learning more about the people and ideas they’re interested in. Way to use music for communication, Vader! This is serious death metal. Not very melodic; blast beats abound, the tempos are fast, and the guitars are heavy. What more do you want? Note: if you have the Pavement USA version, you probably noticed there’s a set of lyrics with no song to go with it on the actual disc. I think it’s a foreign bonus track. Despite this hiccup, Vader remains among the best.